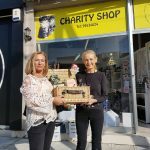 Our charity shop is located in the heart of Limassol, the nearest city to the sanctuary, with a constantly changing range of items for sale with all proceeds going towards the sanctuary. 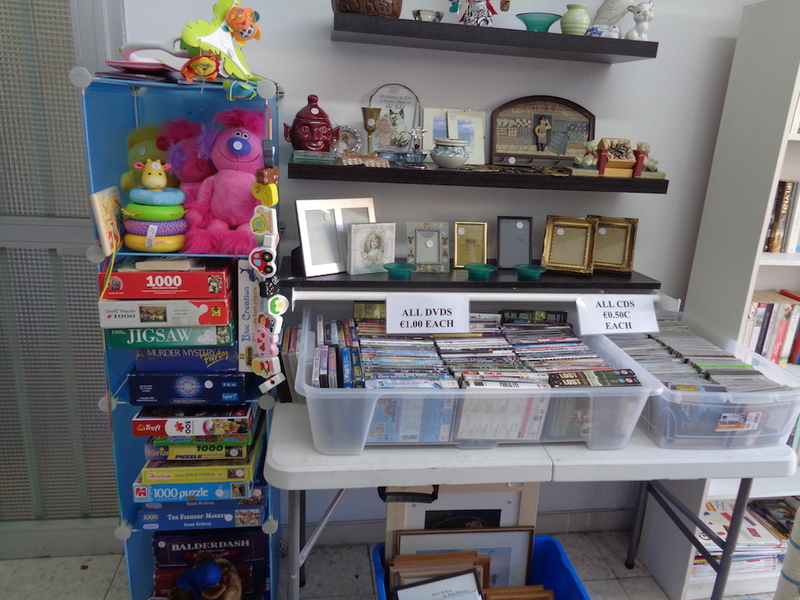 For many years various committee members and volunteers have suggested that the sanctuary fund raising could benefit from having a charity shop in Limassol. 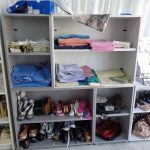 Unfortunately, due to various circumstances the dream never became reality until June 2016 when we finally opened the doors to the Malcolm’s Cats Charity Shop in a popular area of the town. After securing the premises the work started to launch the new venture. 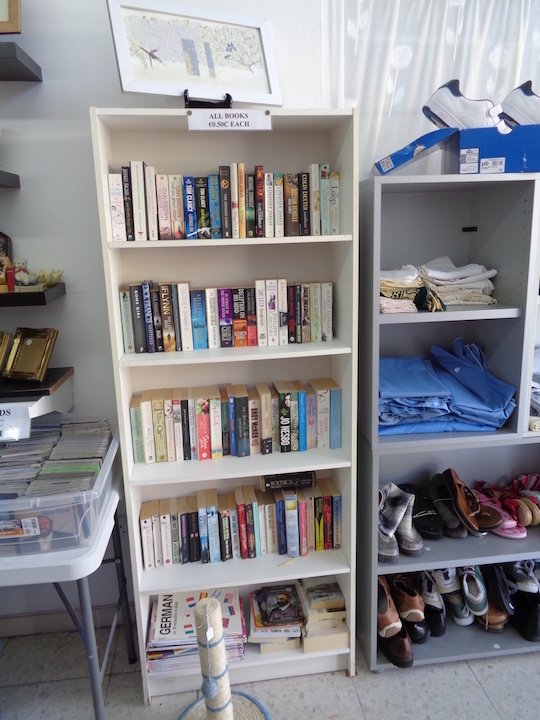 Over the years dedicated volunteers have braved the early starts and all weathers to man a stall at the various car boots utilising the many donations of clothes (for all seasons) bric-a-brac, books and much more. 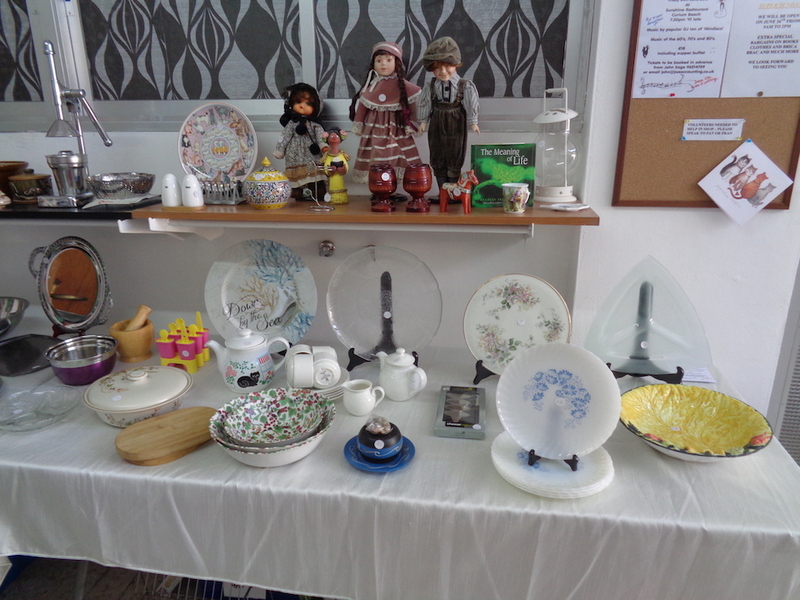 Some of the clothes that were as good as new were also sold at the coffee mornings and bazaars held throughout the year. 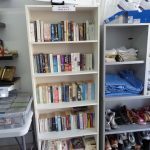 Through the generosity of the excellent donations for the car boots we have stocked the shop with first class merchandise plus donations of brand new clothing and handmade cards. 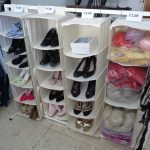 For that special occasion we also have a variety of “posh frocks”. 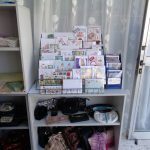 Early trading is really encouraging and we are gaining a reputation for the quality of our goods and the value that they represent and we are already welcoming repeat customers and their friends. 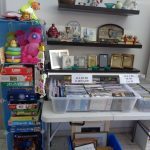 The shop is open six days a week from Monday to Saturday 9:30 am to 1:30pm but these times may be adjusted from time to time and these will be advised here on the website and Facebook. 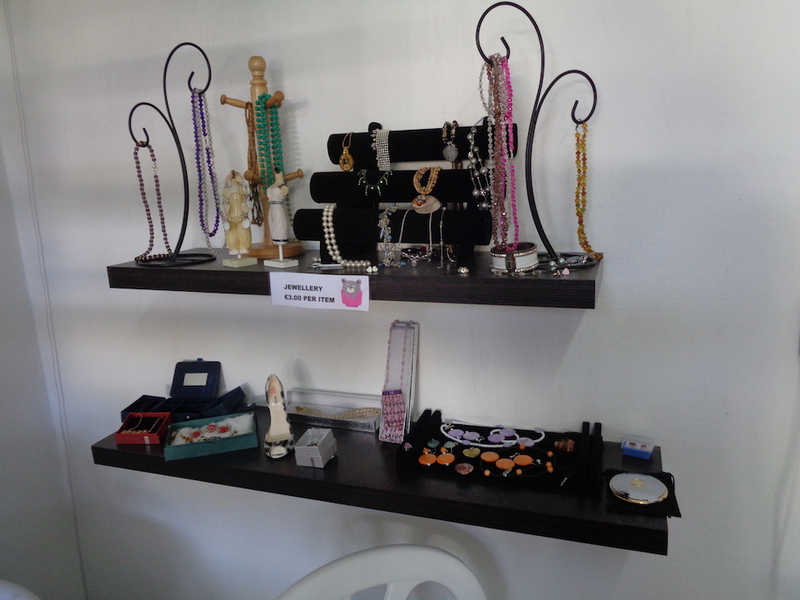 All donations for the shop will be gratefully received either at the shop itself or at the sanctuary. 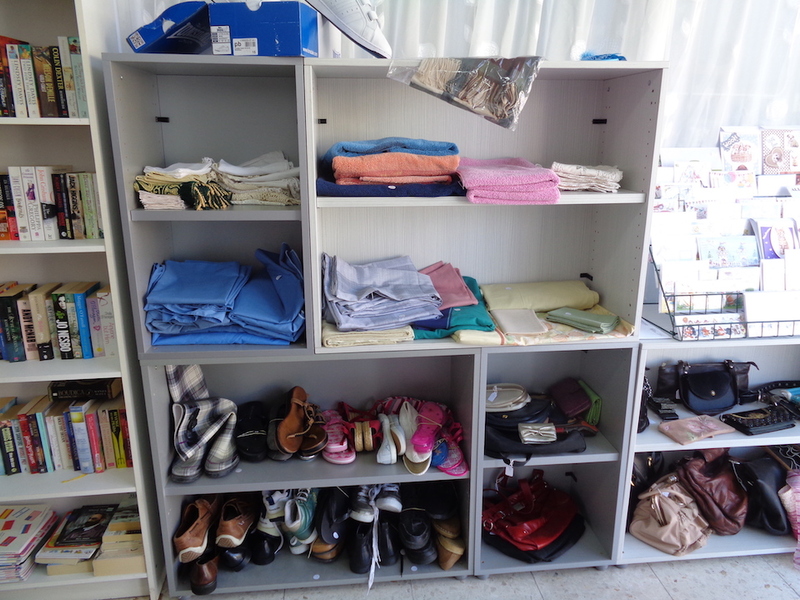 If you feel you have a few hours to spare to help at the shop we would welcome your call by contacting Pat on 99 534624. 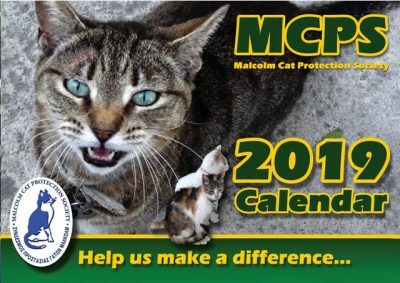 We look forward to welcoming you in the knowledge that the shop will be contributing towards the happiness and health of the cats of Malcolm Cat Protection Society. 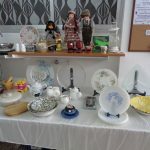 In 2017 we held our first Christmas Coffee Morning at the Charity Shop which proved a great success with both the volunteers, supporters and regular customers. 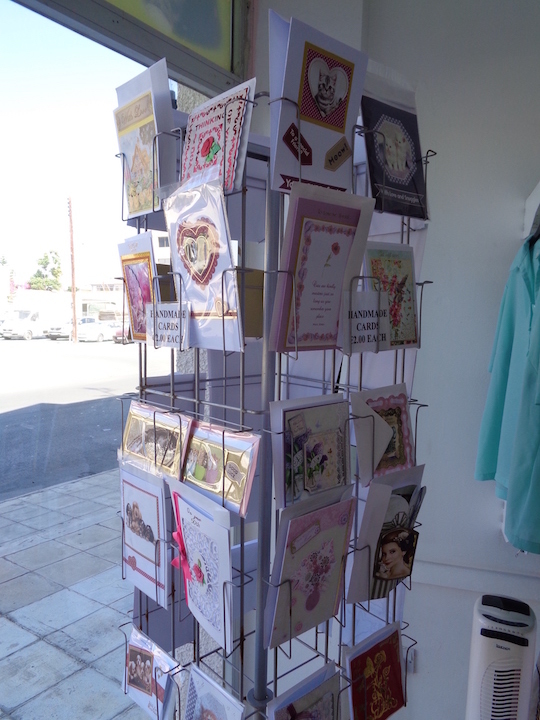 The shop was transformed with Christmas decorations and a special window display. 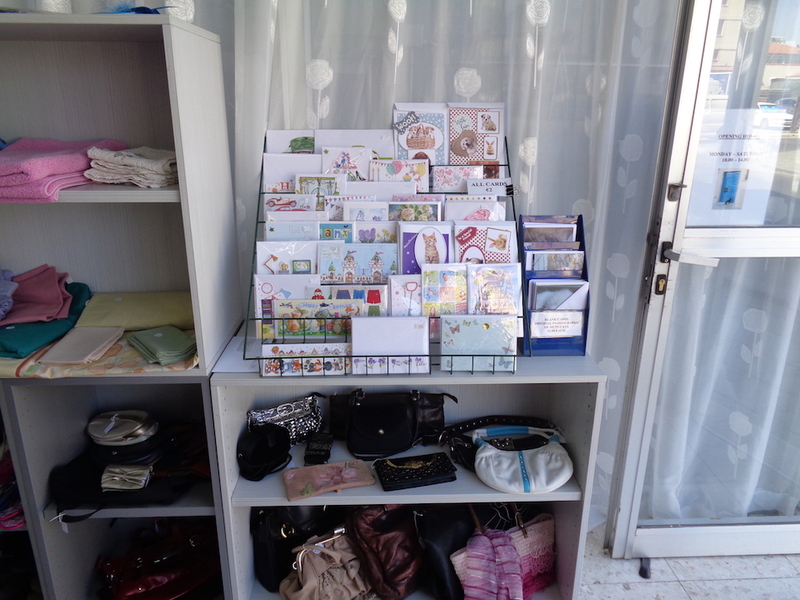 As well as having the normal items for sale there were handmade Christmas cards, decorations and ornaments. 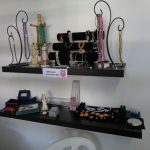 Various stalls were also set up to enhance the atmosphere which included a lucky dip raffle, bottle in the bag and toys. This was all rounded off with coffee and cakes. A prize draw for a Christmas Hamper was run before and during the morning and the winning ticket drawn on the day. Due to is success preparations are already underway for this year’s coffee morning and we look forward to it becoming an annual event in the fund raising calendar. Where is the MCPS Shop? 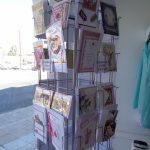 Malcolm’s Cats Charity Shop, 76 Agias Fylaxeos Street Limassol – from the highway take junction 27 towards town – go over four sets of traffic lights – Inter College is on your left and a Singer shop on the right where there is a large free car park – we are just opposite next to the Simply Fresh Sandwich Shop. Next Page Why Become a Society?